Essay. The World is far wealthier and more productive than it’s ever been but it’s not big enough that everyone might have an adequate income and it’s not big enough to fund the income that some of us are used to and that might alarm those who refuse to do anything to help the former (the “exploitees”). But to solve both problems – enough and freedom from want – we need to work the Wall Street Pump on a global scale (please see below) because solving just one of those problems but not the other will solve neither. And a problem without a solution is not a problem. It becomes a dialog and while we were talking, something seems to have gone terribly wrong with the World economy which the G20 and the World Bank have not been able to fix and they are themselves a part of the problem as has been amply and fairly demonstrated by groups such as the UNEP and ICIJ; please see the map above for the problem and the dialog below for the solution. We’re still impressed today by the opulence of the ancient world including our own Middle Ages in Europe but we know where it came from – it came from trade, conquest, and the slavery of millions of people and billions over time – notwithstanding the importance of the development of banking and private enterprise in businesses and agriculture of all sorts that followed thereon. But those are the subjects of these Posts (of which there are more than 600 and we’re still not done) and in order to solve those problems of enough and freedom from want on a global scale, we’ve had to invent the Theory of the Firm and the Theory of The Process both of which are readily accessible and blow away the fog that passes for economics in the G20 and the World Bank. The bottom line is that capital gains (and “wealth”) are not an income – and we know how to get them both “risk-free” in the capital markets which will surprise some people who feign to deny it and it is not unlike what Archimedes did to the Romans at Syracuse in 214BC – nor do capital gains have an economic value other than to weed-out the bad investors from the good by “killing” them (so to speak). 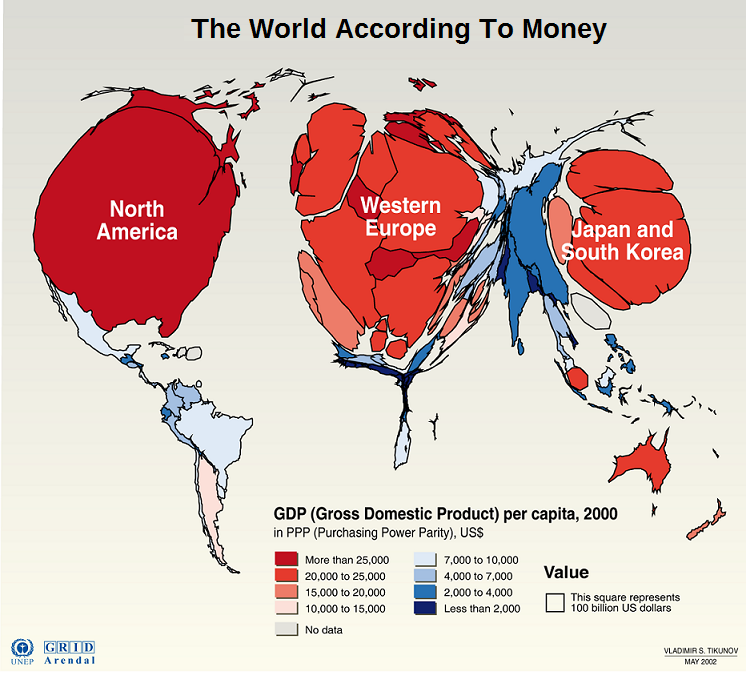 But most of the World’s “money” is engaged in the hunt for capital gains because most of the World’s money is in the float that is created as “securitized assets” and most investors by number and money hold some interest in those as exchange traded funds (ETFs), index funds, or mutual funds, for example, all of which are in the “killing ground” for capital gains and not a reliable and competent income for the most part; a rough estimate of the “float” is $800 trillion compared to about $80 trillion of the underlying assets which is the market value of the companies in the public stock markets that we might own an interest in (as shareholders) for an income. There are, of course, excellent reasons for some types of securitized assets; for example, mortgage-backed-securities (MBS) can be used to create a more reliable income from bundles of private mortgages and therefore, encourage banks and investors to lend more money to mortgages; and options on commodities, including currencies, can help to even out the income and production costs for companies and therefore to provide a more reliable income and both of these instruments are a type of insurance for which we pay a premium; and they are also a new type of “asset” that become themselves tradeable and which can be further securitized (again) in the speculative or “guessing market” that is more concerned with capital gains than with obtaining or protecting merely an income. And although the underwriters know how to make a reliable income from these instruments, the investors who buy and sell them don’t and have come to depend on “mini-arbitrage” and “wild guesses” and for the most part, one guess is as good as another because there is always the element of “surprise”. The Wall Street Pump is a market-making activity that through “advertising” – pundits, analysts, breathless buys and sells – drives investors in and out of the bond and equities markets and as such it is a “bolt-on” or “supercharger” for the more pedestrian activity of simply finding investors to buy our securities for capital safety and a hopeful but not necessarily guaranteed return above the rate of inflation – in other words, for an income. But it works and no less than the bold adventurers of the ages, we have the choice of sending out our caravan or carvel with or without an armed guard and we can take a chance on a “free lunch” or be prepared to defend our capital and our income in the flux of global inflation and deflation and world trade among the nations which can also be “pumped” with advantage to everyone – rich and poor. “Inflation” is the arch-enemy of the wealth and power which it creates. That’s not a contradiction because those of us who have wealth and power don’t necessarily want more of it – although we don’t find too many people who want less of it – but they do have a problem keeping it in the absence of an income and to obtain an income, they have to deal with the rest of us (alas). It’s easy to understand that equation by considering the outcomes of war (the outcome is always inflation and even hyperinflation) and the more common outcome of debts being serviced or repaid in “cheaper” dollars which is currently a haunting specter for the banks who have lent them and a saving grace for the debtors who have borrowed them and we need only look at the history of the banks during and prior to the most recent “financial crisis” in 2007 and 2008 to understand how that works; nor has the problem been solved (please see our recent Post “(P&I) The World Trader’s Almanac – China” for more information). However, “inflation” is also an export “good” (of which “conquest” is one) and countries that successfully export their inflation will have a “deflationary economy” in which the “worth” of their entrenched or bound “wealth” is increasing and governments might need to wonder about what they’re doing with fiscal and monetary management to either encourage or combat inflation – a “political” disposition – and they ought to wonder before their citizens do and have to suffer the consequences of their failure to solve that equation for all of them and not just for some of them. Although we can export inflation and thereby “import” or acquire “deflation”, the reverse is not true because a deflationary economy (let alone a depression economy) will be hard-pressed to export anything other than its currency to buy an income elsewhere if it can’t buy it at home and that’s a situation that affects the US , China, and Japan now (among others) and they have been trying for several years with more or less success to drive capital into the investment market (equities) rather than the bond or fixed asset (property) market. And the drama today has escalated into the world markets for both equities and trade and it is between the US and the Euro Area countries, which are in the middle, and China, Russia, and the emerging trade blocs which are no longer west to east as exports over imports but also compelling as east to west and most of the rest of the World including the south in Africa and Central and South America; please see Exhibit 1 below (and click on it and again to make it larger as required). For more information on the Free Market Yield and the terms that we have used above, please see our Posts “(P&I) The Dismal Equation (Ecclesiastes 9:1)” and “(B)(N) S&P 100 Volatility Risk and The Full Moon” and “(B)(N) NASDAQ 100 Volatility and The Stone Bunnies“ and for an introduction to The Barometer “(B)(N) What’s A Girl To Do” or “(P&I) The Swiss Franc Debacle“.